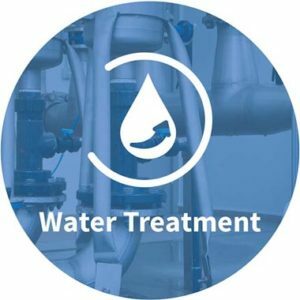 At Aldous & Stamp we have five decades of water treatment and hygiene experience, allowing us to operate in the capacity of consultants, developers, manufacturers and field engineers. We can therefore approach any problem or task with the skills and confidence to ensure you receive the correct solution, each and every time.We provide equipment, chemicals and services for a wide variety of requirements, from simple projects to large complex schemes, from private water supplies to building services systems, heating systems to air/ground/water source heat pump systems, open systems, humidifiers and steam raising plant. Our primary objectives are the prevention of scale, corrosion, sedimentation and bacteria including Legionella. Although we are based in Beckenham, Kent, we operate throughout the UK mainland, the Channel Isles and Eire. And as confidentiality and integrity are extremely important to us, we will not divulge clients’ names… not even for our website. We are keen to ensure we comply with Health & Safety, so guidance is provided by external consultants, Safety is the Key, who have been instrumental in keeping our company compliant with the complex requirements of our industry since 2010, from annual H&S Policy Documentation, annual safety audits, updating us on safety regulations and good solid advice whenever we need it. The new website was put together by SJLAssociates who, like us, are located in Beckenham. SJLAssociates can design a fully responsive website to fit your needs.